It is almost here, guys! The long anticipated software update for all legacy Windows Phone handsets is about to start rolling out in a matter of weeks, and a couple of Nokia's European divisions have confirmed it. Word came yesterday from Nokia Spain, who reassured us that Windows Phone 7.8 should hit Nokia Lumia smartphones by the end of January. And now, Nokia Italy tweeted that the new software is to be released in a few days. What's bothering us, however, is that these confirmations came via the divisions' Facebook and Twitter pages respectively. As history has shown, these kinds of announcements, although pretty trustworthy, are not necessarily 100% reliable. Perhaps Nokia is just trying to calm down its impatient users who are annoyed by the fact that Windows Phone 7.8 smartphones are already on the market, yet the update for older handsets has not been released yet. Furthermore, Nokia Spain reiterates that even once the software is ready to launch, it will be up to the carrier to decide when it will be made available to the public. Still, we'll be keeping our fingers crossed. 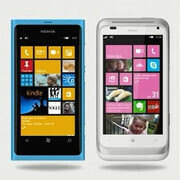 Should the Windows Phone 7.8 update be released over the forthcoming weeks, rest assured that we'll keep you posted. I wonder why this is thumb down?.. any reason? The touchscreen on my Radar seems unresponsive a lot. Did you ever run into this issue? Other than that, it's a great phone. No I never ran into that issue but I only had it for about three months. I really loved the feel of it too. The screen size was not an issue at all but I may be a little spoiled now. Nokia care in india are already updating to 7.8 . My friend got his L610 updated to 7.8 yesterday. Just waiting for my Lumia 900 from AT&T to get updated. I want that new tile screen. Excited!!! As one of about.... Oh.... 21 Samsung Focus S users, I am pumped for a refresh. I sure am not expecting it this month, although February sounds realistic and reasonable.